A would-be biographer becomes a friend. In fiction, the One-Hit Wonder is that rare beast. Writers who pen an enduring debut novel but never a follow-up can generally be slotted into one of two categories: those for whom fiction was always intended as a side-project to other genres of writing, and those whose death cancelled out further literary forays. Titles belonging to that first camp would include The Picture of Dorian Gray and Arundhati Roy's The God of Small Things—the former a book met with outrage on publication, the latter feted by the 1997 Booker Prize panel. In the second camp are found the likes of Wuthering Heights and The Bell Jar, with tuberculosis and suicide prematurely halting the proceedings of two 30-year-old poet-novelists. A third subset exists but it is rarer still and hazier to define: that belonging not to writers who turned their back on their craft after being disenchanted with poor sales or critical opprobrium but to those who became uncomfortable with fanatical adulation. It is tempting to call this the Margaret Mitchell category and to see it as the equivalent of an exclusive mausoleum that enshrines one author and one hallowed work. However, two points challenge this. First, despite refusing to write a sequel to Gone with the Wind, Mitchell died at 48 after being hit by a car, leaving readers to wonder if a prolonged life might have resulted in a change of heart. 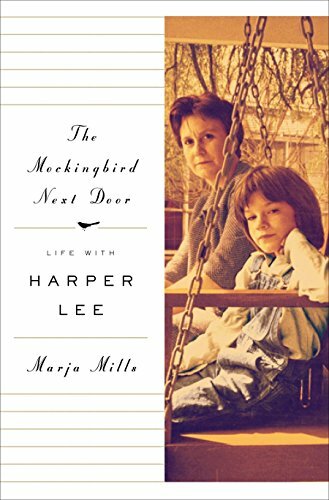 Second, after reading Marja Mills's memoir of her time spent with Harper Lee, The Mockingbird Next Door, we finally discover that one of several reasons why the reclusive author never wrote another novel was the unease that phenomenal success brought. How to live up to such impossible expectations? Mitchell belongs else-where. Lee belongs here.